Born: March 30, 1979 in Bedford-Stuyvesant, Brooklyn, New York, U.S.
2012–Present: After working with Danger Mouse and Daniele Luppi on some of the tracks of their album, Rome, Jones teamed up with Danger Mouse for her fifth studio album Little Broken Hearts, expected to be released on May 1, 2012. Jones played the album at SXSW 2012 in its entirety. American Songwriter Magazine has referred to Little Broken Hearts as the "most dramatic and rewarding departure she’s made in her career." Little Broken Hearts received positive reviews in its early day. American Songwriter reviewer was positive about the album, called it "the most dramatic and rewarding departure she’s made in her career" and said: "Little Broken Hearts is her most commanding and compelling role yet." Robert Copsey of Digital Spy gave a positive review to the album and rated it four-stars-out-of-five and wrote: "It might be dark, but this stunning collection of anguish is the brightest she's shined in a long time." Marcus J. Moore of BBC Music also gave a very positive review to the album, mentioned she "never sounds too depressed on this set" and said: "Heartbreak is inevitable if you love hard enough, yet Jones and Burton make it enjoyable." 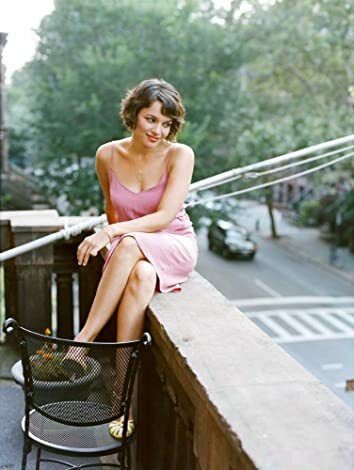 Norah Jones' debut album, 2002's Come Away With Me, sold so many copies — roughly 20 million worldwide, making it one of the best-selling records of the previous decade — that she's seemed fairly liberated ever since, especially once expectations of future blockbusters settled to something more realistic. Without losing her knack for impeccably classy professionalism, Jones has kept pushing her sound beyond the warmly accessible pop-jazz that launched her career, whether in the roots-country band The Little Willies or in her guest-vocal spots on last year's Rome, the album Danger Mouse (a.k.a. Brian Burton) recorded with Italian composer Daniele Luppi and Jack White. Ten years after her debut, Jones is ideally positioned for the subtle sonic makeover she undergoes on Little Broken Hearts. Written and recorded with Burton, who as producer gives the album a sonic edge that never overwhelms its star, Little Broken Hearts sounds like Norah Jones without bearing much resemblance to the work that once got her pegged as the world's most commercially dominant jazz star. Trafficking in alternately sweet and icy singer-songwriter pop, it's a reinvention, but not a radical one. It helps that these songs delve into deep, dark matters of betrayal and loss — and address them in myriad ways, from the wounded grace of "She's 22" to the vengeful hurt of "Miriam." Along the way, Jones coos and struts her way through a handful of crackerjack pop songs: "Say Goodbye," the smoothly sinister title track and the single "Happy Pills" all meet at the midpoint between Jones' past work and the fizzy pop Burton makes with Broken Bells. Always more versatile than most people think, Jones fits all of this smart material to perfection, marking her second decade as a star while making her sound cooler and more unflappably sophisticated than ever. Jones drew the inspiration for the album cover from the vintage movie posters that adorn Burton's Los Angeles studio. "Brian has this great collection of Russ Meyer posters in his studio," explains Jones, "and this particular one, called Mudhoney, was right over the couch where I sat every day. I always was looking at it and thinking `that's so cool I want to look like her!' I remember staring at the poster the whole time we made the record. It's a great visual." Little Broken Hearts is the fascinating next step in the artistic evolution of one of the music world's most consistently intriguing singer-songwriters. Jones first emerged on the world stage 10 years ago this month with the February 2002 release of Come Away With Me, her self-described "moody little record" that introduced a singular new voice and grew into a global phenomenon, sweeping the 2003 Grammy Awards and signaling a paradigm shift away from the prevailing synthetic pop music of the time. Come Away With Me has just become the #10 best-selling album of the Soundscan era. The album has sold 25 million copies worldwide. Since then, Jones has released three more critically acclaimed and commercially successful solo albums--Feels Like Home (2004), Not Too Late (2007), and The Fall (2009)--as well as two albums with her country collective The Little Willies. The 2010 compilation ...Featuring Norah Jones showed her to possess an incredibly versatile voice by collecting her collaborations with artists as diverse as Willie Nelson, Outkast, Herbie Hancock, and Foo Fighters. Jones previously collaborated with Danger Mouse on his acclaimed 2011 album ROME, a valentine to classic Italian film score music that also featured Jack White. Film poster for the 1965 exploitation movie Mudhoney. Norah Jones portrayed herself as Clara Belle in Mudhoney poster.